Why would I need self storage in Venice, CA? There are a variety of reasons why you might need self-storage in Venice, CA. How much is a storage unit in Venice, CA? The cheapest storage unit in Venice, CA is $94.00 per month. What size storage units do you have available in Venice, CA? In Venice, CA we have sizes that range from 5'x5' to 10'x20' to suit your storage needs. How much is it for a 5'x5' storage unit in Venice, CA? The cheapest 5'x5' storage unit in Venice, CA is $94.00 per month. Venice is a beachfront neighborhood on the west side of Los Angeles, California. The community is famous for its large canals, sandy beaches and the Ocean Front Walk, a 2.5-mile boardwalk that features a variety of eclectic performers and vendors. Because of its small size and high desirability, Venice is becoming an increasingly expensive place to call home, but draws plenty of new residents nevertheless. Venice was originally founded in 1905 as a seaside resort town. Its founder was famous tobacco millionaire Abbot Kinney, who purchased the 2 mile stretch of ocean-front property with his business partner. The community was named "Venice of America," opening in 1905 with a long pedestrian pier, restaurant and dance hall. Venetian-inspired architecture and the network of canals were a tribute to the neighborhood's European inspiration, providing a unique experience for visitors. 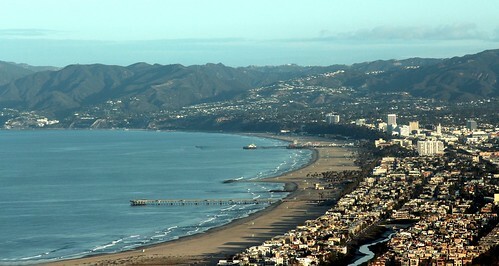 Tourists from all over the state arrived to enjoy the amenities and large, sandy beach, and Venice grew at a rapid rate. Throughout the early 1900s, development continued, focused on expanding the pier and adding a number of new attractions. When Venice was annexed by Los Angeles in 1929, many of the original canals were paved over to create a practical network of city streets. An oil boom provided a significant economic boost to the area through the 1970s. After a few decades of decline, Venice underwent major rejuvenation efforts and has now become a popular home for many affluent Los Angeles locals. In Venice, you'll enjoy all the benefits of a beach town as well as the perks that come with living in a city the size of Los Angeles. Los Angeles, which bills itself as the Entertainment Capital of the World, boasts a diverse population and plenty of places to go and things to do, from sunny beaches to studio tours. Each neighborhood in Los Angeles has its own unique atmosphere, Venice included. There's plenty to explore in the neighborhood of Venice, including the Venice Canal Historic District, featuring a few of the original canals from the community's beginnings. Abbott Kinney Boulevard is a popular Venice destination, home to a large number of shops, restaurants and art galleries. Venice Beach itself is one of the most famous sites in the area, well-known for its eccentric performers and artists. A large percentage of Venice jobs are related to management, business and financial operations. Los Angeles as a whole offers jobs in a wide variety of industries, so there's something for nearly everybody. Among the largest employers are the Los Angeles and California state government offices, Kaiser Permanente and Northrup Grumman. The Los Angeles Unified School District (LAUSD) is broken up into several local districts, with Venice a part of Local District West. There are also several mainly faith-based campuses private schools in Venice. If you're hoping to pursue higher education in Venice, there are plenty of school options in the greater Los Angeles area. Utilities: The principal utilities providers in the area include the Los Angeles Department of Water and Power, Southern California Gas and Southern California Edison. Garbage and Recycling: Your trash and recyclables will be collected on a regular basis in most residential areas of Venice. Transportation: Venice receives service from the LA Metro system, making it easy to get around the Los Angeles area. The downside to living in a beachfront neighborhood designed as a resort town is the high price of housing. Expect home prices well above the million-dollar mark and a competitive housing market with properties moving very quickly. Our lowest priced units in Venice, CA average $94.00 per month. 109 people have reserved units in Venice, CA in the past 30 days. There is 1 location within Venice, CA's city limits.